Programming offers a bevy of career opportunities. From web development to app development and even DevOps, coding is a useful skill. With the rise in popularity of coding, boot camps spawned as a quick means to learn programming fundamentals. These comprehensive courses provide an entry into the coding space. Find out what a coding boot camp is, what you’ll learn, and discover if it’s the right fit for your programming journey! A coding boot camp is similar to an exercise boot camp. Well, sans the physical exertion. Instead, it’s a training program to learn technical programming skills. Like a non-programming boot camp, the primary principles are high impact and speed. Like high-intensity interval training, coding boot camp highlights speed through condensing what’s typically learned in a multi-year program into a matter of weeks or months. Furthermore, boot camps only teach a small portion of what typical computer science degrees What Is Computer Science? What Is Computer Science? In the simplest of terms, computer science is the study of information ("data") and how it can be manipulated ("algorithms") to solve problems, mostly in theory but also in practice. Read More offer. The Fire Hose Project suggests it’s around 10 percent of a traditional CS degree. Nevertheless, coding boot camps cover the most in-demand and necessary skills. What Languages Do Boot Camps Teach? Unfortunately, it’s almost impossible to learn every programming language. 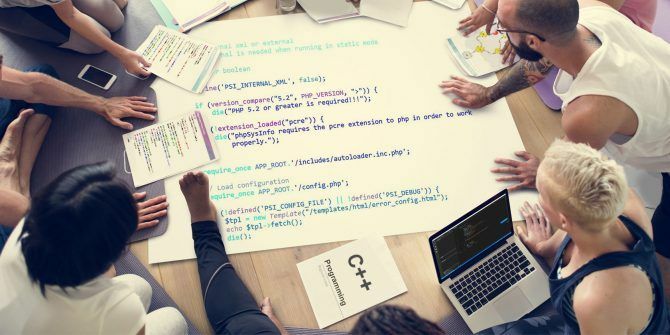 As such, many programming boot camps focus on the newer languages and technologies, as well as the best programming languages for beginners 6 Easiest Programming Languages to Learn for Beginners 6 Easiest Programming Languages to Learn for Beginners Learning to program is about finding the right language just as much as it's about the edification process. Here are the top six easiest programming languages for beginners. Read More . Because individual boot camps vary, we’ll briefly touch on the application process, cost, and location. Usually, there’s an online application and series of interviews. The interview process concentrates on logic assessment rather than technical skills test. That’s due to the target demographic: beginners. If you’ve got some basic coding background, even if it’s just a markup language like HTML, that’s fantastic. But coding boot camps deliver a no-experience required learning environment, so don’t expect a technical skills test. Aside from that, the boot camps usually vet candidates based on motivation. You’ll have a fair amount of classroom time as well as outside of classroom work. As such, it takes a driven individual to thrive in a coding boot camp. Price ranges are wide since length varies anywhere from two months to ten. However, plan to spend as much as $10,000 or higher. You can find some in-person as well as online coding boot camps. Coding boot camps target beginners. There’s no past programming experience required, merely a desire to learn to code. That’s what separates these boot camps from other programming certifications and degrees. Instead of a prerequisite level of coding expertise, the boot camps accept candidates deemed capable of programming. Whereas degree courses and self-taught coding present viable means of learning to program, boot camps boast several advantages. Primarily, there’s the condensed time frame. You benefit from a solid foundation of basic programming skills in a few months and an easy introduction to foundational skills. Plus, the structured environment is a main selling point. Finally, completing the course spruces up a resume. Similarly, certain coding boot camps partner with businesses for post-boot camp job placement. Despite the advantages which coding boot camps offer, you’ll want to consider the downsides. As Course Report reveals in its Coding Bootcamp Market Sizing Report from 2016, these boot camps oversaturate the market. This makes sense as graduates emerge with similar sets of basic skills. CMoreover, coding boot camps are meant as a foundation, and a means to an end rather than an end itself. Therefore, they present the introductory concepts which budding programmers require. But it’s up to the campers to apply those skills, acquire additional expertise, and assume functional projects. There’s a false assumption that finishing a boot camp makes you a programmer. Spoiler alert: it doesn’t. Boot camps teach the basics of a tool or language, not fundamentals of how to apply these in real-world scenarios. Even placement numbers are rather misleading since success rate goes largely unaudited. Cost is a huge factor as well, and it’s not uncommon to find such boot camps with tuition in the tens of thousands. If you want to skip the coding boot camp, you can become a programmer through inexpensive and even free means. As TechBeacon Managing Editor Mitch Pronschinske suggests, there are plenty of alternatives. Pronschiske lists a few programming boot camp alternatives. By opting for a do-it-yourself (DIY) approach to learning to code, you seek out learning opportunities through free and inexpensive courses as well as hands-on practice. 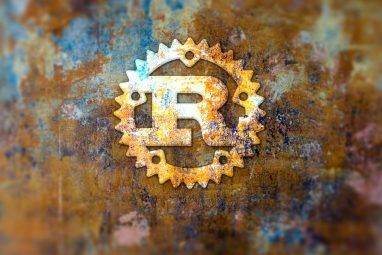 Because many languages, tools, and frameworks are open-source, they’re freely available. With dedicated communities and comprehensive tutorials, it’s totally feasible to transform into a self-taught programmer. But you’ll need to supplement this through building useful applications with the knowledge you’ve attained. Ultimately, the DIY path is a decent test of whether or not you’re cut out for programming. Are you willing to stay up until two in the morning curled up with a 700-page book on programming? Do you have the persistence to be a coder, not just the technical skills? Just like studying IT Before You Study IT, Know What You're Getting Into Before You Study IT, Know What You're Getting Into Information Technology (IT) has become such a widespread career choice. But few people actually know what IT is and what its discipline entails. Read More , know what you’re getting into before making the plunge into a coding boot camp. If you do seek a structured learning environment, loads of free and inexpensive alternatives exist. 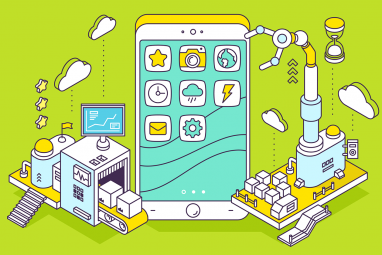 You can find many classes online via Udemy, Udacity, Launch Academy, and even right here on MakeUseOf with tutorials in our Programming section and our online course deals. Community colleges often feature spectacular, affordable programming courses as well. Should You Take a Coding Boot Camp? Armed with the knowledge of the pros and cons, now it’s time to decide if a coding boot camp is right for you. You should enroll in a coding boot camp if you desire to become a programmer, are motivated, and can stomach the high price. You’ll need time, so a boot camp is best if you have a flexible schedule. It’s also important to proceed with realistic expectations of the job market and your skills at the conclusion of the boot camp. Contrary to how they’re marketed, they may be a better fit for individuals with a strong technical background seeking to learn a new skill. You should not take a coding boot camp if you don’t have the motivation to put in the extracurricular work required to succeed. On the flip side, skip the boot camp if you’re a self-starter willing to learn on your own. In this case, you can teach yourself for less money than a boot camp requires. Additionally, eschew the boot camp approach if you believe that becoming a programmer is an easy or short process. It’s not the most difficult profession. But becoming a programmer requires late nights as well as hands-on experience. If you merely seek marketable skills and not a career as a programmer Career Options for Java Programmers Career Options for Java Programmers With a projected growth rate of 19 percent for the 2014-2024 period (according to the U.S. Bureau of Labor Statistics), the career prospects for Java programmers are indeed excellent. Read More , a boot camp is not right for you. If you’ve decided to enroll in a coding boot camp, begin researching them. TechBeacon’s complete list of the top 24 coding boot camps delivers tons of detailed information on the top programs. For a DIY approach to coding, find the online, print, and in-person resources you need to learn. Additionally, check local community colleges for affordable programming classes. How do you feel about coding boot camps? Let us know if you would enroll or if you’ve taken one and how it turned out! 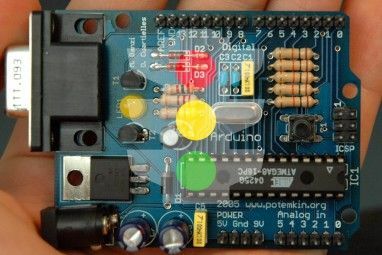 Arduino Programming for Beginners: Traffic Light Controller Project TutorialJava Exceptions: Are You Handling Them Right? I would love to see bootcamps focusing on CS concepts and theories. Algorithms, data structures, complexity, etc. No specific programming language, just pen, paper, and pseudo code. That would benefit a lot of students. Thank you! That is a very informative article. I am trying to decide how to obtain the necessary skills to be a coder later in life, and this helped me a lot!